Balaton, is a small town of 600 people in Lyon County, located in the southwest area of the state. Balaton’s Internet service is dismal; residents have access to satellite, fixed wireless, or DSL. Satellite is unreliable, and the fixed wireless services’ max speed is 5 – 10 Mbps. DSL service varies based on how far the home is from the central office. In some places in town, DSL should be able to reach broadband speed — 25 Mbps (download) / 3 Mbps (upload), but in reality, DSL is slow and unreliable because it is based on old copper lines. The goal was to bring Fiber-to-the-Home (FTTH) service of 1 Gigabit-per-second (Gbps), upload and download, to the underserved residents — 40 times faster than broadband. FTTH is the fastest, most reliable technology available but also most capital-intensive. It’s available to only about 25 percent of the U.S. population. 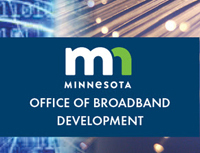 Minnesota’s Border-to-Border Broadband Program offers matching grants to broadband projects in unserved and underserved areas. The program aims to meet certain speed goals set by state law: By 2022, all Minnesotans should have access to 25 Mbps / 3 Mbps. By 2026, all Minnesotans should have access to 100 Mbps / 20 Mbps. Woodstock Communications and the town of Balaton’s economic development department spent the summer of 2016 drumming up support throughout the community. 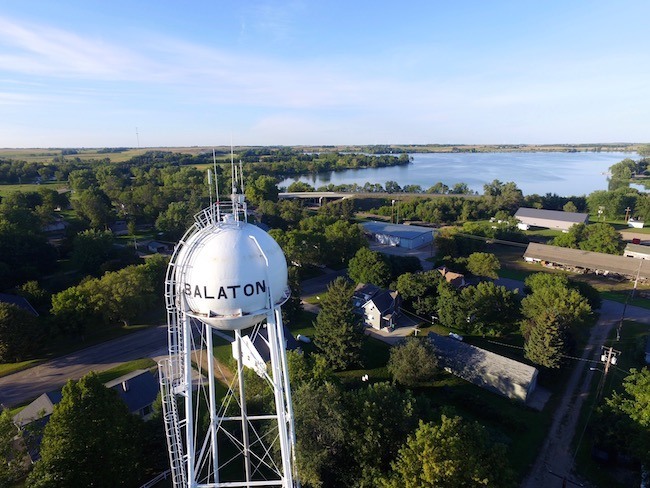 Many community members, small business leaders, and local officials made it clear that Balaton was practically unserved: they could not get high-speed Internet service. Frontier, the fourth largest DSL provider in the nation, had a different plan. The company immediately challenged Woodstock’s grant. Frontier claimed that the DSL in several areas within Balaton could, or would soon, support broadband. Since mid-2015, the Federal government has provided Frontier with $27.5 million a year in Connect America Fund II grant funds to improve connectivity in rural Minnesota, including Balaton. The Federal government subsidized Frontier to increase speeds to at least 10 Mbps / 1 Mbps. Frontier replied to the Minnesota Broadband Office detailing how they offered broadband in certain sections of the town and speeds between 10 Mbps and 25 Mbps in other areas. Balaton’s Economic Development Director Onken followed up with Frontier and learned that the company had no plans to improve service in 2018. Frontier would possibly improve service by 2020. This was unacceptable. The town of Balaton and Woodstock Communications immediately contacted the Minnesota Office of Broadband and Development to find out what could be done. 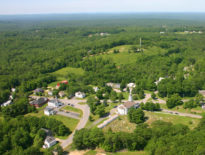 Woodstock set up an online portal where community members could log the actual speeds they received from Frontier versus the speeds to which they had subscribed. Frontier, meanwhile, may not have read the fine-print — the company had not killed the project. Woodstock Communications could receive the grant the next year as Balaton was now marked as an underserved area. This process, however, was not automatic. Woodstock Communications had to reapply for the 2017 grant cycle. It was a bittersweet victory for Balaton and Woodstock. The project had been delayed by a year, thanks to the meddling of Frontier. Residents had to spend another year with slow DSL connections and subpar service. 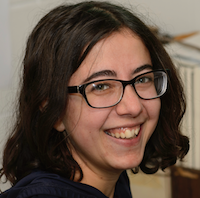 The grant funding came through at the end of 2017, however, and Woodstock could finally move forward. Balaton will see FTTH service capable of 1 Gbps for both download and upload speed. That’s ten times faster than the Minnesota 2026 goal of 100 Mbps. The community will dedicate $1 million in local funding to the Border-to-Border grant for about $413,000 toward the project. Approximately 300 households and 30 businesses will finally have high-speed Internet access. This situation is all too common: An ISP providing subpar service delays another ISP, cooperative, or municipality from receiving a grant to build a better network. The ability to disrupt a project in such a manner is the incumbent’s “right of first refusal.” In theory, it prevents the government from subsidizing an area that does have, or will soon get, broadband service. In practice, it derails projects and leaves residents without high-quality Internet service. As the case of Frontier and Woodstock shows, the right of first refusal in Minnesota’s Border-to-Border Broadband grant program needs an upgrade. The program considers projects based on the categories of unserved and underserved, valuing them differently. This is why Frontier only has to show that it could (mostly) meet Minnesota’s 2022 goal in order to delay a project that far surpassed the 2026 goal. This is not just a Minnesota problem. 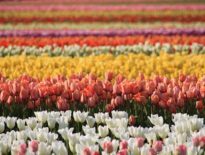 A few years ago in Colorado, CenturyLink took advantage of the right of first refusal and blocked a fiber project from a small ISP called Clearnetworx. Taking advantage of its right of first refusal, CenturyLink swooped in and took some of the grant money that Clearnetworx had applied for to deploy a high-quality network. Instead of building a FTTH network, which had been Clearnetworx’s plan, CenturyLink spent the funds on improving the subpar DSL service. The small town of Ridgway, Colorado, was cheated out of a next-generation network, and taxpayer funds were wasted on older technology. When the reality of the situation came to light, Colorado’s legislature changed the right of first refusal in April 2018 to prevent such a debacle from happening again. 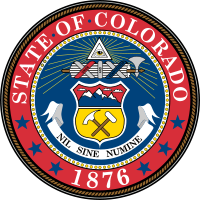 Like Minnesota, Colorado has a state broadband grant program that provides local ISPs with grants to build next-generation networks. Fixes to Colorado’s right of first refusal mean that, within a year, the incumbent ISP exercising it must meet or exceed the speed tiers of the proposed project and rates must be comparable. This means that communities will receive better service and, hopefully, competitive rates. Minnesota’s Border-to-Border Broadband Program has been held up as a model by other states considering similar methods to boost deployment. The program has helped bring better connectivity to many residents, businesses, and entities in rural areas of the state even though the program is only a few years old. As the state continues to refine the program, officials can use the experiences of communities like those in Balaton and Ridgway, Colorado, to improve it. Other states that are establishing their own programs can also take heed of these situations in order to create effective programs with maximum impact. Image credit Discover Southwest MN.